well hi! hello there! it has BEEN a minute! 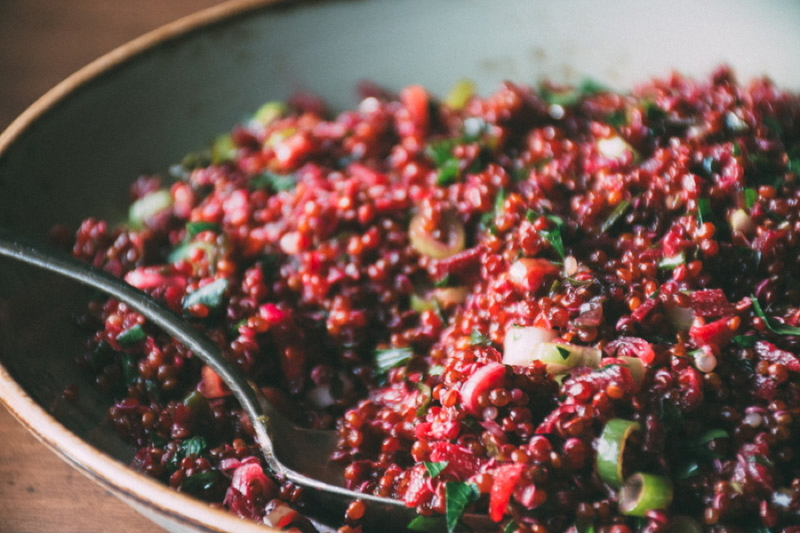 I am so stoked to share this glowing goddess quinoa salad with you! about a month ago I took a little trip down to SF to visit my bestie (since 2nd grade! she’s kind of a gem), and my visit just so happened to fall on a full moon. so OF COURSE there was a full moon goddess ceremony to kick of the weekend – all the best girls + yoga + intention setting + guided meditation + heart opening + and some delicious//healthy food. umm talk about amazing! can we do this every full moon? since we were in charge of bringing the tasty eats, the bestie had made a big batch of quinoa earlier that was just waiting to be all dressed up into something delicious. after a trip to the store down the street + raiding her fridge for farmer’s market goodies this lovely, bright and nourishing glowing goddess quinoa salad was born. let me tell you why I love this goddess salad: it’s got that whole laid back and healthy vibe going on. grated beets, lots of parsley, thinly sliced green onion and a bright and fresh lemon + olive oil dressing keep it simple + clean, yet flavorful and satisfying. 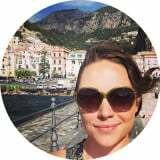 now that, my beautiful friends is a win-win! and it seriously could not get any easier to make. you literally just toss everything together and it’s ready to go! you can garnish with some extra green stuff for looks if you want (because who doesn’t like pretty food) and then it’s time to DIG IN! 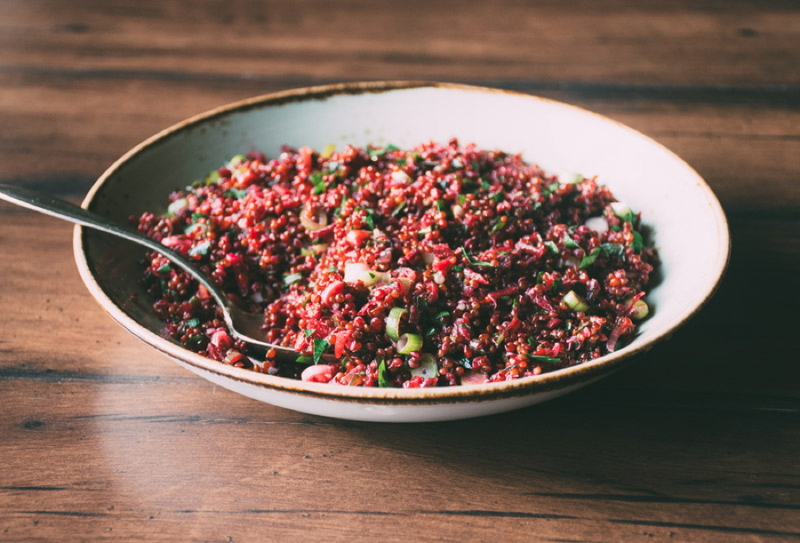 while not necessary, I LOVE to soak my quinoa before cooking to break down the enzyme inhibitors and increase bioavailability of the vitamins and minerals in the grain. 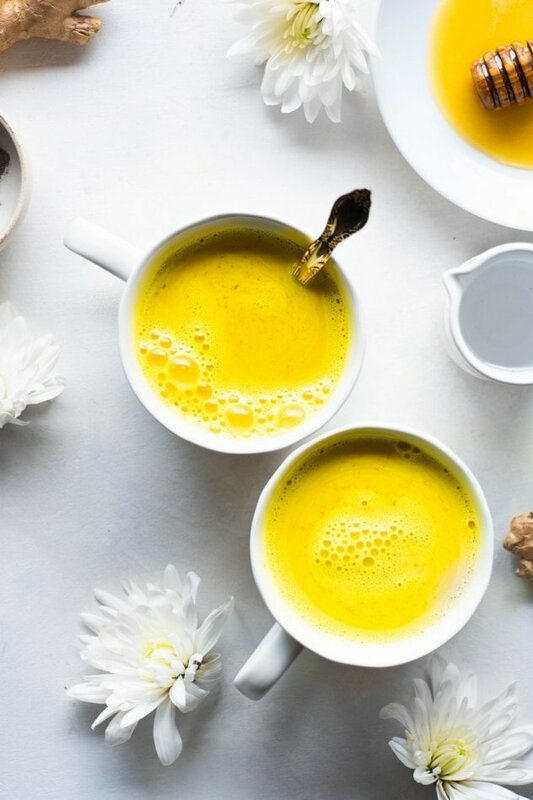 if you have tummy troubles with ANY grain this is a super simple + effective way to make everything a little bit easier on your body. 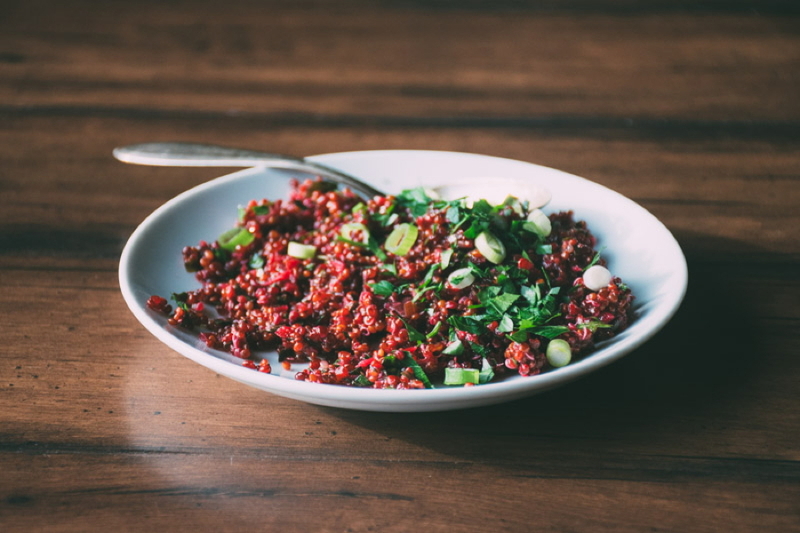 in a large bowl soak 2 cups quinoa in twice as much water along with a few tablespoons of apple cider vinegar, lemon juice, yogurt, whey or kefir (something acidic) for 12 to 24 hours. 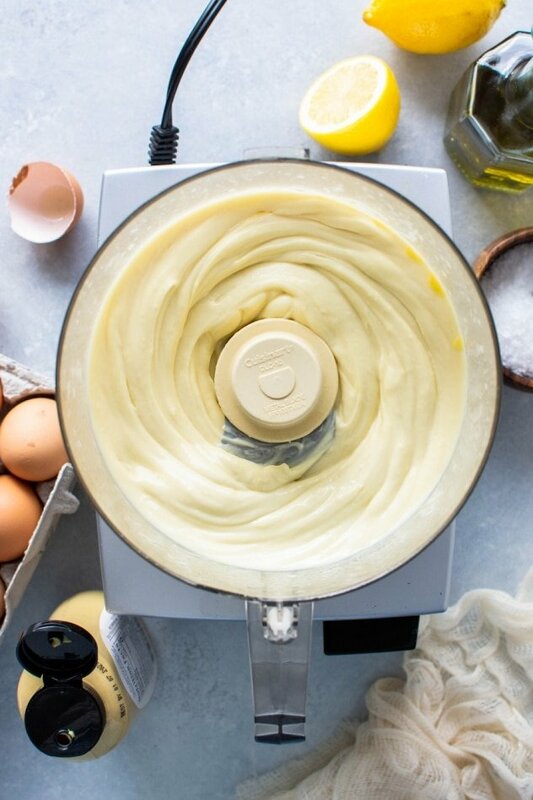 turn the burner on to medium high and bring to a simmer, reduce the heat to low, cover and set a timer for 5 minutes. after 5 minutes turn off the heat and let the pot sit on the burner for about 10-15 minutes to allow it to finish steaming. now you can use the quinoa immediately or store it in the refrigerator until you’re ready to make the salad! I will mention though that it is one of those salads that only improves with a little bit of time for the flavors to get to know each other. 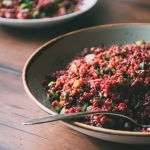 get your glowing goddess quinoa salad! 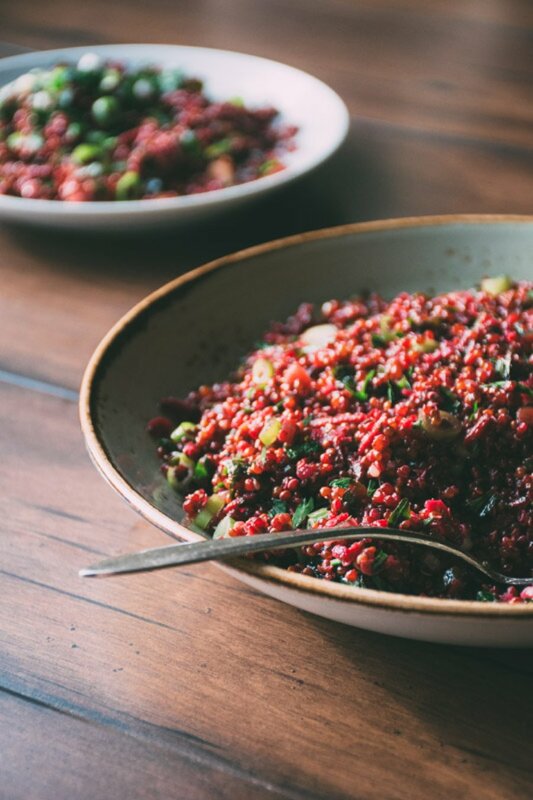 a mega healthy and super simple recipe for a quinoa salad with grated beets, fresh parsley and thinly sliced green onion, all tossed together with a fresh and bright lemon + olive oil vinaigrette. vegan, vegetarian, gluten free and goddess approved! 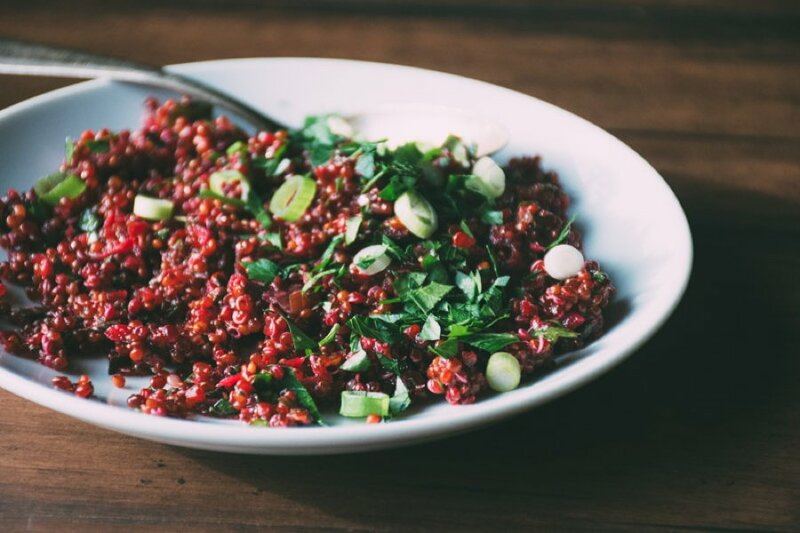 combine quinoa, beets, green onions and parsley in a large bowl. 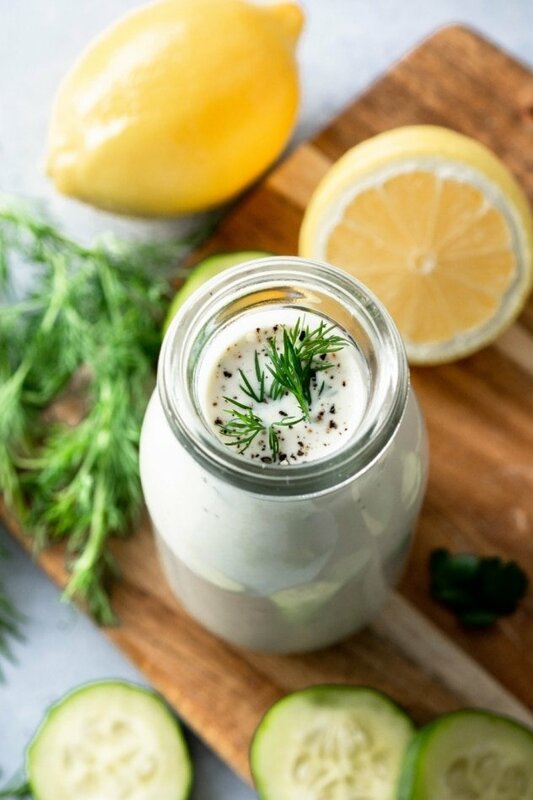 in a jar or in another bowl shake/whisk together lemon juice, olive oil, maple syrup, salt and pepper. pour dressing over quinoa and toss to combine. taste and add a little more salt, maple syrup or black pepper if necessary. garnish with a little extra parsley and green onions and serve, or store in the refrigerator for up to one week! This entry was posted in lunch, salads and tagged easy, gluten free, healthy, quinoa, vegan, vegetarian on May 21, 2016 by Nyssa Tanner. Can’t wait to try your trick of soaking the quinoa in/with something acidic. 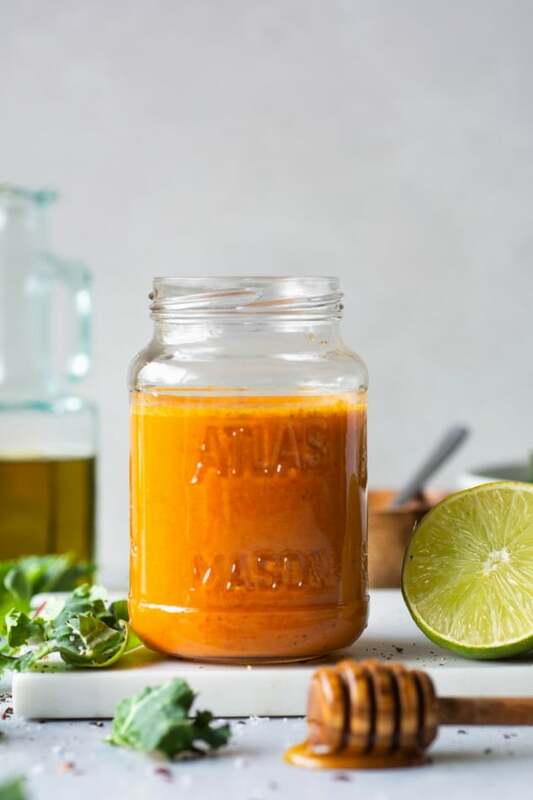 Love the double red going on in this recipe. Pinned!